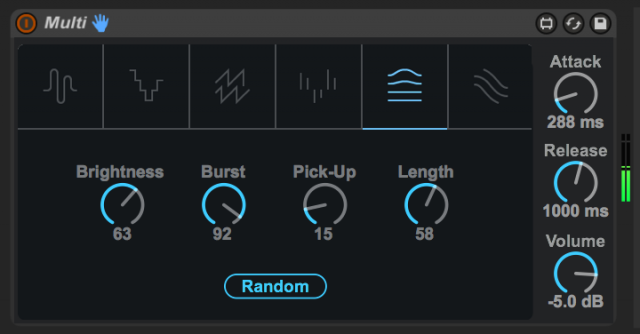 The new Push hardware may have been the big, new shiny from Ableton this week. But for Live users, the software changes in 9.5 may have the greatest impact on day-to-day music-making life. Live 9.5 has arrived as a free upgrade for Live 9 users. The biggest change is the new Simpler, but some other additions and changes are significant, too. Here’s a look at what’s new and how to take advantage of some of 9.5’s less-obvious capabilities. First, you’ll notice that Tracks are colored by default, and Clips automatically take their Track color. That’s good news for anyone getting lost in sets or wasting time obsessing about what color things should be. Then, the big new feature is SImpler. You’ll see Ableton talk a lot about Simpler and Push in the same breath, with good reason. The hardware/software combination of 9.5 and Push 2 make working with samples in Live more like working with a dedicated drum machine – and less like working with a laptop. Classic mode. Closest to the original Simpler, but now with options for pitch and time stretching. 1-shot mode. Useful with longer samples. Either set to “trigger” to let each 1-shot play in its entirety, or “gate” to restrict to note length. Slice mode. Can I get a hallelujah? Now, you can cut up sounds right in Simpler, without any additional steps, just by dragging and dropping. Adjust sensitivity for more or fewer slices. That’s in stark contrast to the clunky features in past versions. Users of other drum machines may roll their eyes at some of this, as it’s obviously familiar, but it’s a pretty big deal to have it integrated in Live. Live doesn’t count as the first DAW to do this, either, but on the other hand, Live pioneered Session View, and it’s unquestionably a different workflow. I loved the old Simpler, and so love this new Simpler even more – and didn’t look back for a second. Talking to readers, though, not everyone feels that way. It seems some of you do actually want to hot-swap samples without changing in and out points, which I wouldn’t have expected. For now, the way to do that is right-click the sample and choose manage sample, then drag from the browser to the tab. If you drag and drop files directly, you’ll reset those parameters. You don’t get these same Warp Modes or slicing in Sampler, the multi-sampled Live instrument. But with Simpler capable of so much, I’m willing to wait a while longer for that addition. Simpler also adds new filters, with models of classics like the Korg MS20 and Moog Prodigy. They’re the result of a collaboration with Cytomic’s Andy Simper, the mind behind the Glue Compressor. And they’re also available in Sampler, Operator, and Auto Filter. For an added twist, there’s a “morph” mode for sweeping through filter shapes, in both Operator and Auto Filter. Simpler is the only internal device, but there are three new Max for Live Synths (Multi, Poli, and Bass), and one new Max for Live Arpeggiator (Arp). They’re included in the new Max Essentials Pack. Of these, Multi is our favorite. You get six synthesis modes, from additive to feedback FM to karplus-strong physical modeling. Each has four parameters and an easy randomization switch. That means quick inspiration is always at hand, but you can also dive deeper to finesse sounds. It’s a fantastic instrument, with some really counter-intuitive knob labels. For instance, “Split” adjusts between a simultaneous chord and an arpeggiator – not keyboard split in the traditional sense. And “Wet/Dry” even more confusingly means the number of scale degrees added above the root, not effect level or something similar. But once you get the hang of this, it’s loads of fun – and David notes the similarity to Teenage Engineering’s OP-1 (which also seems to have inspired the displays on the Push 2). Finally, don’t forget RMS metering. It’s maybe the smallest change in Live 9.5, but it could be the one with the biggest impact on the quality of mixes. The additional light green indicator gives a better picture of average loudness of a track. I’ve been frankly puzzled by producers complaining about the “mix engine” in Live – even after Ableton made a native 64-bit mix engine and did lab comparisons with other DAWs. My strong suspicion is that people are simply failing to leave enough headroom in their mix, and that’s what they’re hearing in the sound. One easy way to fall in that trap is to try to watch peak meters as an indication of how loud tracks are, which can fail to give a good picture of what’s really going on in the mix. RMS metering was invented for a reason; there’s no substitute for using your ears, but visuals help. These aren’t the only changes in 9.5. There are also loads of new sounds, many taking advantage of the new Simpler. And while it’s not in the present build, Link wireless sync is coming, which is actually my personal Favorite New Thing in general (and which is relevant to iOS apps immediately, not just Ableton Live). Stay tuned for those. Now, has Ableton added everything on my wish list, or yours, or anyone else’s? Hardly. For one thing, a UI architecture that debuted before OS X is now starting to look more than a little long in the tooth, and that can slow down editing when you are on-screen (nice as it is to gaze away from the screen with Push). 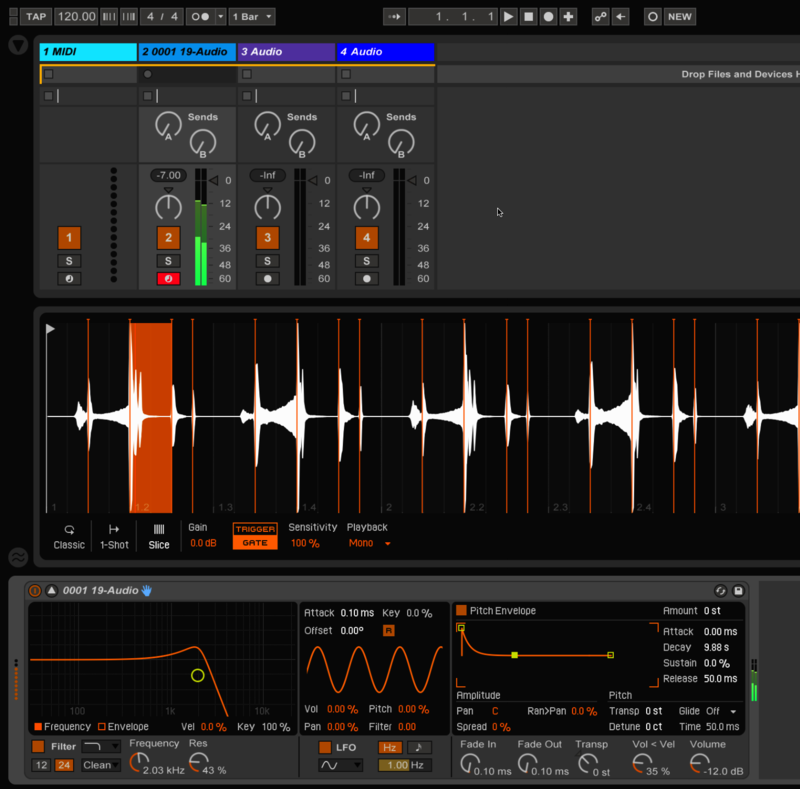 But as a free interim update, Live 9.5 represents a whole lot of work. Combined with the revelatory jamming powers of Link, it shows Ableton have been busy on more than just new hardware. And far from a feature leap-frog, I know these are tools I’ll use in music making right away. Let us know what you think, and if you have any questions or tips of your own. David Abravanel contributed to this story.